​1Sa 17:4 And there went out a champion out of the camp of the Philistines, named Goliath, of Gath, whose height was six cubits and a span. “Why do you come out and line up for battle? 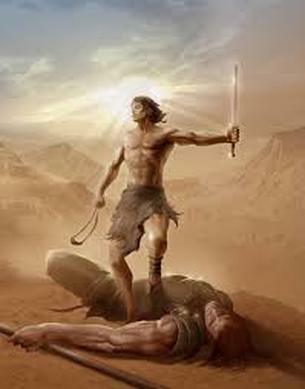 ​Then the Philistine said, “This day I defy the armies of God"! 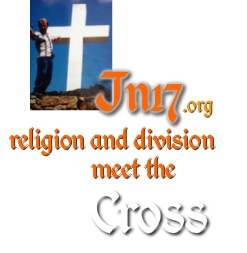 ​As we survey the 43,000 denominations, and all the other giants of division, would you say that the army of ​God is equally as dismayed by todays giant? ​and deviated from the truth of the God we serve. ​2 Cor 10:4-5 NKJ. For the weapons of our warfare are not carnal but mighty in God for pulling down strongholds, 5 casting down arguments and every high thing that exalts itself against the knowledge of God, bringing every thought into captivity to the obedience of Christ. ​​blessed just like our land 'unity'. ​the giant is just too big....is this our conclusion? ​another man had to carry his shield it was so big). ​was focused on the giant and not their God.